Abstract: Airwheel S3 self-balancing scooter, a kind of transportation representing a new era of fashion trend, has turned up. Will you join this fashion tour? 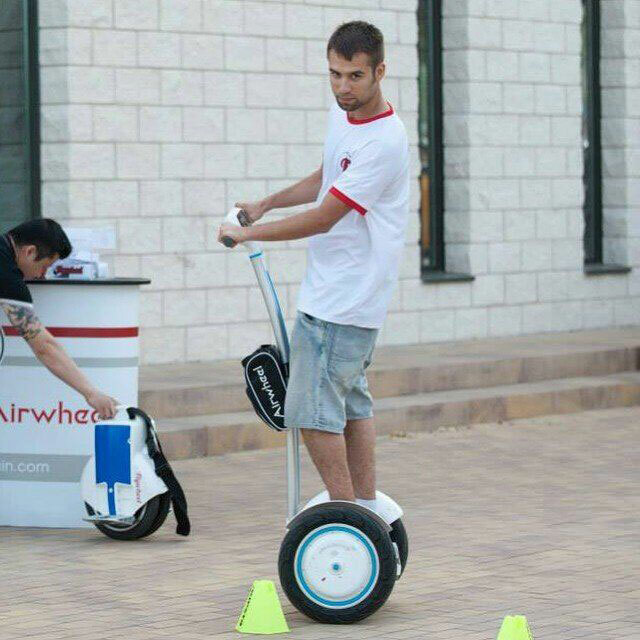 It is a new means of transportation designed by Airwheel Company that it is environmentally friendly, energy-saving and very convenient. What’s more, its maximum speed can be up to 18km/h and has a large human-computer interface with the handle that can be removed at any time. It also incorporates the latest dynamic fashion streamlined shape, letting you become the focus of much attention in the crowd. Do you hate the monotony of waiting for the bus and the subway every day? Do you also want to change a more fashionable lifestyle? If so, Airwheel S3 self-balancing scooter is the best choice to meet your demands. With it, you do not have to stand in a crowded bus stop and wait anxiously. You can decide your time and direction by yourselves and go anywhere as you please without considering any binding. Airwheel S3 intelligent electric self-balancing scooter was not only a simple means of transportation, but also it makes you stylish. Its handle is shaped with stylish sporty streamline. Each arc and each colour can bring you a new feeling. Such shape is not just for aesthetics, but also allows you to use more comfortably. Everyone desires for being the spotlight in the busy street. Bus, subway is vulgar choice and bike is an outdated concept. Only Airwheel S3 self-balancing scooter can help you suddenly attract all people’s attention in the crowd to make you be a star. Airwheel S3 self-balancing electric scooter with the best user-friendly design has a large display with replaceable handle, which is made of special silicone material as well as its back bumper strip. We adopt the most nuanced ideas, only hoping that you can get the maximum pleasure when travelling. In addition, its lights have an atmosphere full of different colours, so when you weave in the streets, it can help you attract more attention. Being different from the wheelbarrow, it adopts the ideas of tandem with a better stability. Its weight is only 22.4KG and compared with two-wheeled bike, it is certainly lighter. 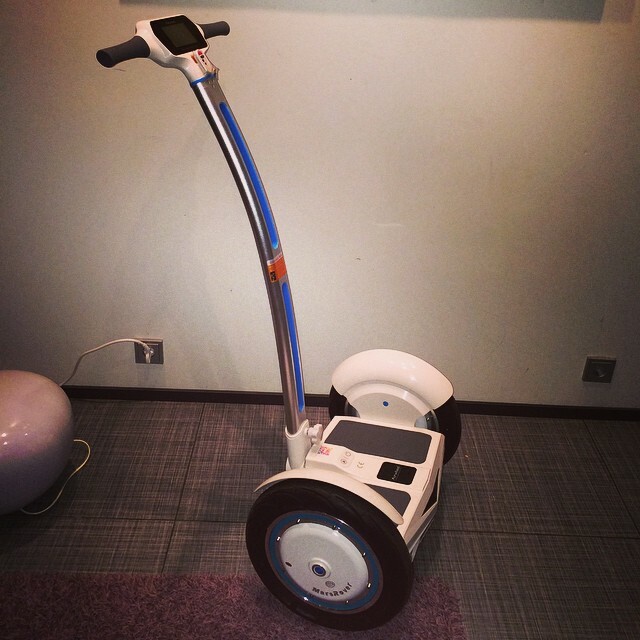 Airwheel S3 self-balancing scooter can reach a top speed of 18 km and maximum range of 65 km. With it, you can weave your way in the outskirts of the city randomly. Of course, the new era has its new way of life, and we should not stick in the mud and should not be immutable. Be the world’s leader, but not his followers; do not let the trend disturb us, but let us dominate the trend. Airwheel S3 self-balancing scooter is a whirlwind, taking you into the sky, overlooking the world. Airwheel S3 self-balancing scooter is not simply a means of transportation and travel, but also a kind of living and trend.